As you may know, I love basic and easy crochet patterns. So I set out to crochet myself a basic winter cowl scarf that I could wear to keep me warm. 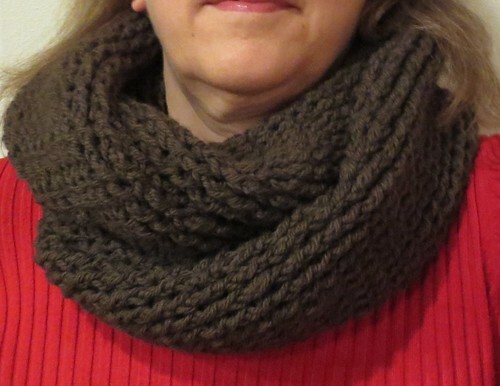 Not only can this cowl scarf keep my neck warm, it also can double as a hooded scarf. 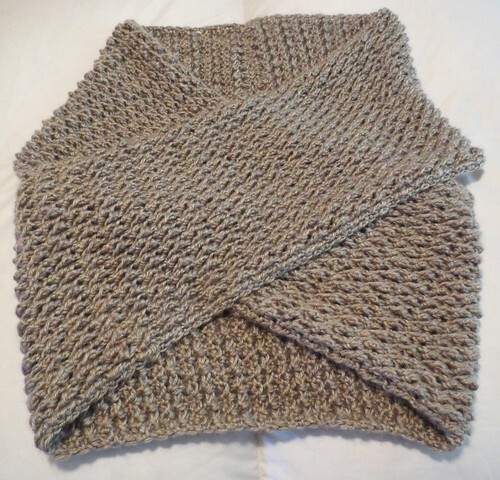 I just love this crocheted cowl scarf. It’s is simple to crochet and works up fast. I hope you will find this pattern useful and let me know if you have any questions as you work the free crochet pattern below. Finished size: 74 inches long and 10 inches wide. All terms in USA crochet directions. 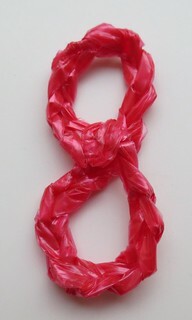 8 years ago on January 24, I posted my first blog post here at My Recycled Bags. 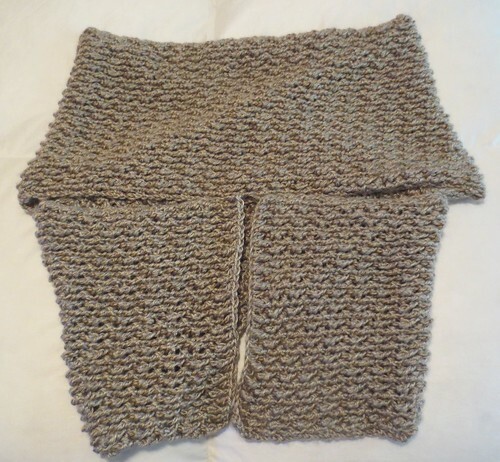 Since 2007 I have shared and added over a hundred different recycled and crocheted patterns. I have battled and so far beaten cancer and posted over 400 blog posts. Through it all, I have meet and become friends with many wonderful people on-line. I just want to take this opportunity to thank all my friends, family and on-line acquaintances. The last 8 years has been fun and very rewarding. As you may know, I love to crochet and make things from recycled materials. Over the years I’ve created things from plastic bags, denim, t-shirts, VCR tapes, cassette tapes, old clothing, and other recycled materials. I share all my patterns free to everyone from plarn to denim on my patterns page where I have all the projects shown with thumbnails. I can now reveal my crocheted sweater wrap I crocheted for my DIL for Christmas. When I saw this cute sweater wrap pattern I just knew I had to crocheted it for her. I used a 5.5 mm (I) crochet hook and Lion Brand Heartland yarn in Grand Canyon. It took 3 skeins which was 753 yards (688 meters), 15 ounces to complete the wrap. 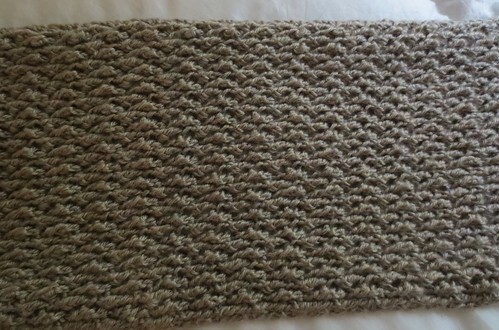 Finished size is 9-1/2 inches wide by 82 inches long. Here is a photo before I joined the back seam. Here is a closeup of the stitching on the front side.